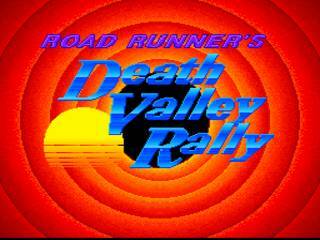 Released in November 1992, this game is based on the classic cartoon starring Wile E. Coyote (Hungarius Uncontrolibus) and his ideal meal, the Road Runner (Speedomitrus Maximus). The Road Runner runs through the Nevada Desert to avoid the Coyote's many crazy gadgets and eventually journeys into space. It's not over until the Fat Lady sings. Best time: Single-segment 0:23:40 by 'Lenophis' on 2013-10-16. I loved this game when I was a young-un, which was a long time ago. I loved that SDA had an existing run of this, but was sad to see zero interest in seeing it getting optimized. I did a lot of talking about how I could do it, but the time came when talking was over. I had to walk the walk. Thus, the quest began. First, I watched this run many times to get an overall idea of the strategies used by rdrunner. The stages were pretty good execution-wise, but the bosses were very sub-par. I told myself that this would be an easy task. As anyone that speedruns will no doubt say, it is never as easy as anybody makes it seem. I had a lot of work to do. So I decided to watch the TAS of this game many times as well, mainly to see what strategies and "tricks" I could take from it and apply to this run. Aside from a clip in 4-3 which I've still never been able to get, and "the jump" in 5-2 which I have managed to do, nothing else could really be taken or "used." I will be listing 6 times per stage. The first set of times will be when I cross the "finish line," the second will be the time displayed during results. I'm listing it because about 3/4 of a second will elapse during fadeout after the finish shenanigans. The second set of times will be rdrunner's times, and the third will be the TAS times. The boss stages do not have a game timer to display. Pretty standard stage. When jumping from the rising platform, it's important to not get caught on the cliff next to you, so your forward momentum doesn't stop. The same must happen for the subsequent drop. Getting caught on either one will cost much time, and is a reset. I've managed to get a 4:45 "finish" time before, which is ideal, but also very difficult. The horizontal platform will start moving anytime the Road Runner is registered as being on it. The game will allow that if at anytime during downward movement the Road Runner is "on" the platform. The beginning section of this stage is timed. As long as you get to the rising platform before it goes back up again, the run can continue. That gives you about 9 seconds to get up there, which really is more time than it seems. After that, I took a hit I usually don't take, so I lost a couple of seconds in this stage. 1-4: The catapult is the hardest boss in the game. No, I'm serious. The catapult arm is the only entity in the game that ignores damage invincibility, and it hits for 2 damage, while everything else hits for 1. I have one goal for this fight, evade one of the arm hits. If I do that, I can tank the rest of the damage and the boss will die before I do. Not all goes accordingly to plan, though. I fall into the cactus to start, leaving me with an odd amount of health. That prevents me from doing my listed strategy, so I have to improvise. This costs me a few seconds. Watching the TAS several times is what gave me a semi-consistent method to get up to the platforms I needed to. Failing that, the run is over. Once on the platform, it's a matter of getting to the end of the stage as quickly as possible. Very smooth stage overall. There are two run killers in this stage. The first is the first rising platform I jump to. Fail that jump, and the run is over. The second is in two parts. The first rising platform leaves you open to a Wile E. hit from his wrecking ball, so you must jump off before it reaches the top, and if you're good enough, you'll get to the second rising platform you need to use. Failing that, you still have an opportunity to get to it, by riding another rising platform from below. If you fail to make it to the second rising platform that you must you, the run ends. This stage can be annoying. If I mis-time the jump after the birdseed, I typically fall all the way down, and have to spend time getting back up. If I mistime my final jump with that 500 point bonus, I end up having to wait for Wile E. to hit me so I can get to the finish. 2-4: This boss can be very difficult if you were to follow the method the game suggests you use to beat it. Instead I just abuse damage invincibility to win. There's a lot of jumping in this stage, and missing any of them will lead to a large amount of time lost. Death #1, much sadness followed. My second jump was just a smidge early. Death #2, more sadness followed. The strategy for the stage is to follow the path I did, but to get enough vertical acceleration so you can bypass the entire stage. That failed the first time. 3-4: This boss is the dreaded auto-scroller. If you miss one cycle, the run is over. The boss takes eight hits, and while I do get multiple hits per cycle, only the first one to connect counts. Bah to damage invincibility! There are two mistakes in this stage. The first is at the beginning, when I mistime my first jump by a fraction of a second. That put me at a dead-stop, then I took an extra hit not long after. The second mistake was mis-timing a jump near the end of the stage, causing me to slightly backtrack. The beginning of this stage went well. However, after passing through the false wall, I would mis-time two of my jumps causing me to lose a chunk of time. The TAS abuses something with damage invincibility to allow Road Runner to phase through the ceiling. I have yet to successfully pull it off, which means I have to do the stage the normal way. 4-4: This boss is also timed, but the clock is a cycle. The boss moves left and right along the bottom platform. The clock is that you MUST defeat the boss before it starts moving left a second time. Failing that, you just eat up time waiting for it to get back after it's beat. For some reason, I forgot to hold X during the scene transition, so I lose about 1 second as we peek at the episode title. As for the stage itself, I did one jump I normally don't, which put me on a higher platform, causing me to lose a second or so. Other than that, went smoothly. Yes, you are reading my time correctly. I did beat the TAS time. I encountered a much better route for this stage which lead to an incredible amount of time saved. This, unfortunately, ended up being the weakest stage in the run. Death #3, continued sadness. The death near the practical-end of the stage ended up costing about 44 seconds overall. Had I not died, I only would have lost about 12 seconds or so. 5-4: The final boss, Giant Robot Anime Wile E. The lightbulb is the first piece, then there's two annentae on the cheecks, the there's two more annentae on the ears. I mistime my "escape" from his right cheek, then I mis-time a jump off the rider, costing me more time. I would be lying if I said the nerves weren't affecting me at that point. This run will be my final act here at SDA. While I can say the journey had the usual ups and downs, overall I felt it was time to move on. rdrunner - He has the first and only run of this game on SDA, which was inspiration. partyboy1a - For the TAS which lead to some of the strategies used.